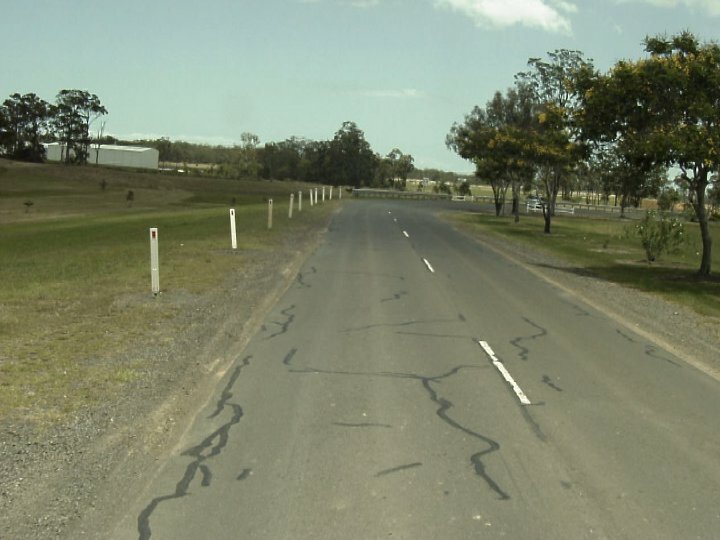 Crack Sealing is the process of sealing cracks in sealed roads with a hot polymer/rubberised bitumen sealant. The main purpose of cracking sealing is to prevent moisture finding its way into a road pavement. It is also used to seal cracks prior to an asphalt overlay in order to prevent reflective cracking. Crack sealing is not an appropriate treatment for crocodile cracking. To ensure a good result, cracks should be cleared of weeds and debris prior to being sealed. The most common method for cleaning cracks is the use of a compressed air jet, but sometime a mechanical device such as a wire brush may be necessary. Where vegetation is present in a crack (above) it may need to be treated with herbicide prior to being jetted or brushed. The following people have indicated (via the Local Government Collaboration Topics Survey) that they have an interest and/or expertise in the topic of 'Crack Sealing' and are willing to collaborate with their peers at other councils to identify challenges and resources relating to the topic and to look for ways to work together to overcome any challenges that are identified.